The US Air Force has released a Request for Proposal (RFP) for an Evolved Expendable Launch Vehicle (EELV) Launch Service supporting the Space Test Program (STP) 3 mission, which is scheduled to launch in June of 2019. The draft RFP was released on August 19th to obtain industry feedback to inform the final RFP. After extensive industry engagements, the final RFP was released on September 29th—proposals are due back to the Air Force no later than December 2nd, in accordance with the solicitation instructions. The Air Force will award a firm-fixed price contract that will provide the government with a total launch solution including launch vehicle production, mission integration and launch operations for the STP-3 mission. The Air Force’s acquisition strategy for this solicitation achieves a balance between mission success/operational needs, and lowering launch costs, through reintroducing competition for National Security Space missions. This will be a standalone contract for the STP-3 launch service. STPSat-2 being built. Photo is courtesy of Ball Aerospace. The STP-3 mission consists of a primary space vehicle (STPSat-6) and a propulsive EELV Secondary Payload Adapter (ESPA) holding up to 6 payloads that will be identified no later than 12-months prior to launch. Artistic rendition of STPSat-2, courtesy of Ball Aerospace. The first STP-SIV spacecraft, STPSat-2 launched November 19, 2010, aboard a Minotaur IV from Kodiak, Alaska. That satellite is carrying a relay transponder for data collected by ocean buoys and a space phenomenology sensor. 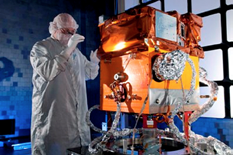 STPSat-3, the second STP-SIV spacecraft, carried five payloads and was successfully launched November 19, 2013, on a Minotaur I from Wallops Island, Virginia. 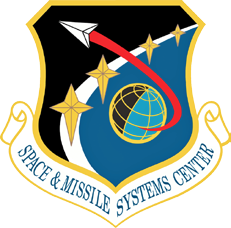 The US Air Force Space Command's Space and Missile Systems Center, located at the Los Angeles Air Force Base, California, is the US Air Force's center of excellence for acquiring and developing military space systems. The command's portfolio includes the Global Positioning System (GPS), military satellite communications, defense meteorological satellites, space launch and range systems, satellite control networks, space based infrared systems, and space situational awareness capabilities. Lt. Gen. Samuel Greaves, the US Air Force program executive officer for Space and Space and Missile Systems Center commander, stated that through this solicitation for STP-3, SMC hopes to promote healthy competition in order to foster innovation while securing Assured Access to Space through multiple reliable, affordable and efficient launch service providers. 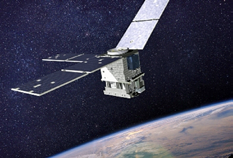 The production of the ninth and tenth Global Positioning System III (GPS III) satellites has been awarded to Lockheed Martin (NYSE: LMT) by the US Air Force (USAF) with a $395 million contract. GPS III satellites will deliver three times better accuracy, provide up to eight times improved anti-jamming capabilities and extend spacecraft life to 15 years, 25 percent longer than any GPS satellites on orbit today. GPS III’s new L1C civil signal also will make this the first GPS satellite to be interoperable with other international, global, navigation satellite systems. The contract includes funding for long-lead items and full production for the next two space vehicles (SVs) in the Air Force’s nexgen GPS III constellation. The first eight GPS III satellites are already under contract and in production at Lockheed Martin’s GPS III Processing Facility outside of Denver. The Lockheed Martin team is finishing up final testing and integration activities on the first GPS III satellite, GPS III SV01, and is preparing to deliver is spacecraft to the USAF later this year. The second satellite, GPS III SV02, is poised to have the major functional systems fully integrated into one space vehicle prior to the start of environmental testing. GPS III SV03 also is starting to take form in the company’s production clean room as the major subcomponents are being assembled. The GPS III team is led by the Global Positioning Systems Directorate at the U.S. Air Force Space and Missile Systems Center (SMC). 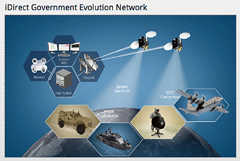 iDirect Government’s (iDirectGov’s) Evolution 3.4.1 software powers the company’s nexgen 9-Series portfolio of remotes and defense line cards. 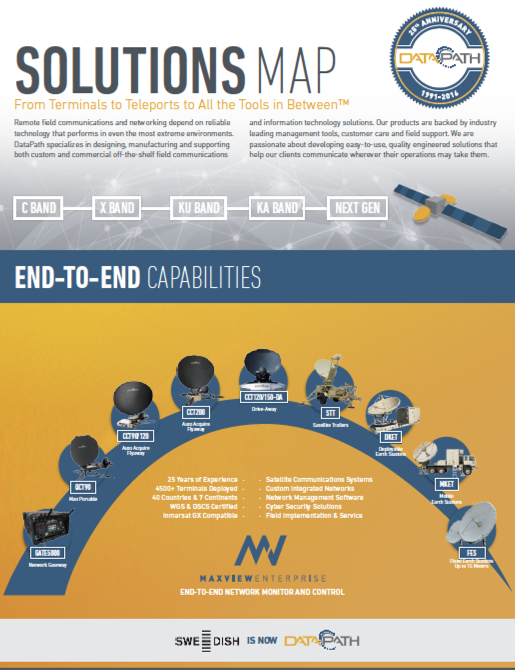 Evolution 3.4.1 delivers enhanced features in security, performance and efficiency to the 9-Series product line in support of the company’s defense and government customers whenever and wherever they need effective satellite communications. The software supports the 950mp, 900 and 9350 remotes as well as the DLC-T and DLC-R defense line cards—all from a single platform. Offering the latest transmission security (TRANSEC) enhancements in the air, on land and at sea, the Evolution platform is Federal Information Processing Standards (FIPS) Level 3 certifiable. The 9-Series remotes and DLC line cards support dual-domain TRANSEC. One-way TRANSEC is a new feature that secures broadcast traffic from the hub to a network of receive-only remotes. 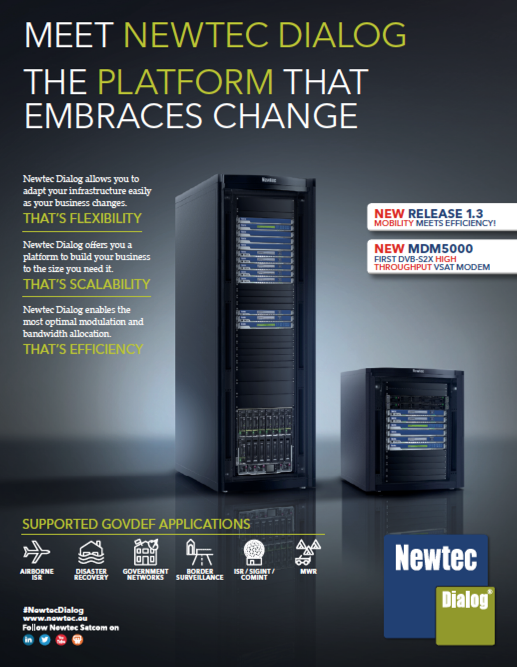 The flexible and scalable 3.4.1 software enables 9-Series remotes to operate and coexist in future networks, helping defense and government customers to easily transition to future releases. The flexibility of 3.4.1 simplifies the recovery of remotes without local manual intervention. “Evolution 3.4.1 delivers a new, advanced level of satellite communications capacity to the field,” said John Ratigan, president of iDirect Government. iDirect Government, LLC is a wholly owned subsidiary of VT iDirect, Inc., and delivers secure satellite-based voice, video and data applications with anytime and anywhere connectivity in the air, at sea and on land. iDirect Government’s satellite IP solutions are used for critical ISR, airborne, maritime and COTM communications to support force protection, logistics, situational awareness, disaster recovery and emergency response. Building on more than 15 years of global satellite communications experience, iDirect Government provides the most bandwidth-efficient, scalable and highly secure platform to meet specialized applications of multiple federal, state and local government agencies, including the Department of Defense, both domestically and abroad. Certification for United Launch Alliance' (ULA) Vulcan launch vehicle for National Security Space (NSS) missions continues unabated, as the company has now signed a Cooperative Research and Development Agreement (CRADA) with the USAF's Space and Missile Systems Center (SMC) as part of the company’s effort to certify its new Vulcan launch vehicle for such use. This cooperative, jointly-written agreement facilitates data exchanges and protects proprietary and export-controlled data. The CRADA will be in effect until all non-recurring design validation activities for Vulcan are complete. This CRADA enables the Air Force to evaluate the Vulcan launch system according to the Air Force’s New Entrant Certification Guide (NECG) and contains a detailed Certification Plan that specifies all of the non-recurring activities. As part of the evaluation, SMC and ULA will look at flight history, vehicle design, reliability, process maturity, safety systems, manufacturing and operations, systems engineering, risk management and launch facilities. SMC will monitor at least two certification flights to meet the flight history requirements outlined in the NECG. ULA will give the US Government specific levels of insight into the design and testing of the vehicle during its development; the breadth and depth of this insight allows for the number of certification flights to be two. 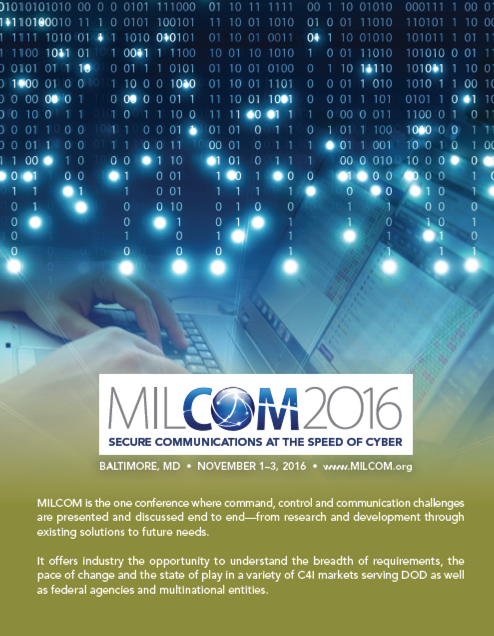 Once portions of the non-recurring validation are complete, the SMC commander may make a determination to grant certification. This approach is consistent with other CRADAs. While certification does not guarantee a contract award, it does enable a company to be awarded competitive launch services contracts. In addition to the Vulcan CRADA, SMC anticipates entering into additional CRADAs with SpaceX for their Falcon Heavy rocket and with Orbital-ATK for their Next Generation Launcher. Currently, ULA’s Delta IV and Atlas V, and SpaceX’s Falcon 9 Upgrade are the only certified launch vehicles for sending NSS payloads into orbit. Take one more mental trip: dive down onto the surface of the semiconductor hosting all of these pixels and marvel at each pixel’s associated tech-mesh of more than 1,000 integrated transistors, which provide each and every pixel with a tiny reprogrammable brain of its own. That is the vision for DARPA’s new Reconfigurable Imaging (ReImagine) program. This could mean selecting between different thermal (infrared) emissions or different resolutions or frame rates, or even collecting 3-D LIDAR data for mapping and other jobs that increase situational awareness. The camera ultimately would rely on machine learning to autonomously take notice of what is happening in its field of view and reconfigure the imaging sensor based on the context of the situation. The future sensor Lewis has in mind would even be able to perform many of these functions simultaneously because different patches of the sensor’s carpet of pixels could be reconfigured by way of software to work in different imaging modes. That same reconfigurability should enable the same sensor to toggle between different sensor modes from one lightning-quick frame to the next. No single camera can do that now. 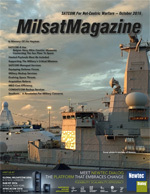 A primary driver here, according to Lewis, who works in DARPA’s Microsystems Technology Office (MTO), is the shrinking size and cost of militarily important platforms that are finding roles in locations that span from orbit to the seas. With multi-functional sensors like the ones that would come out of a successful ReImagine program, these smaller and cheaper platforms would provide a degree of situational awareness that today can only come from suites of single-purpose sensors fitted onto larger airborne, ground, space-based, and naval vehicles and platforms. And with the more extensive situational awareness, Lewis said, would come the most important payoff: more informed decision-making. DARPA also expects to post a Broad Agency Announcement that specifies the new program’s technical objectives, milestones, schedule, and deliverables, along with instructions for researchers seeking to submit proposals. One key feature of the ReImagine program is that teams will be asked to develop software-configurable applications based on a common digital circuit and software platform. During the four-year program, MIT-Lincoln Laboratory—a federally funded research and development center (FFRDC) whose roots date back to the WWII mission to develop radar technology—will be tasked to provide the common reconfigurable digital layer of what will be the system’s three-layer sensor hardware. 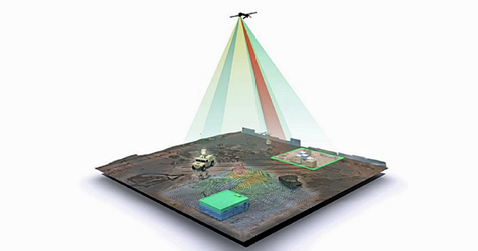 The challenge for successful proposers (“performers” in DARPAspeak) will be to design and fabricate various megapixel detector layers and “analog interface” layers, as well as associated software and algorithms for converting a diversity of relevant signals (LIDAR signals for mapping, for example) into digital data. That digital data, in turn, should be suitable for processing and for participation in machine learning procedures through which the sensors could become autonomously aware of specific objects, information, happenings, and other features within their field of view. That adaption might translate, in response to visual cues, into toggling into a thermal detection mode to characterize a swarm of UAVs or into hyper-slow-motion (high-frame rate) video to help tease out how a mechanical device is working. Importantly, he added, as with eyes and brains, the information would flow both ways: the sensors would inform the algorithms and the algorithms would affect the sensors. Although defense applications are foremost on his mind, Lewis also envisions commercial spinoffs. Smart phones of the future could have camera sensors that do far more than merely take pictures and video footage, their functions limited only by the imaginations of a new generation of app developers, he suggested.